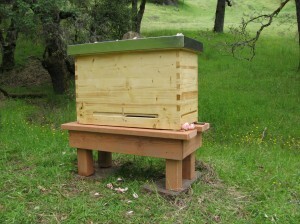 Gaia Bees offers alternative bee-friendly hives. 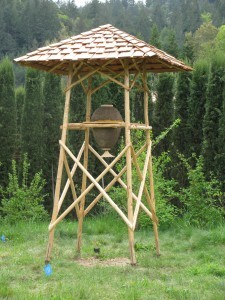 The designs are based on the needs of the bees and promote a sustainable and wholesome approach to apiculture. 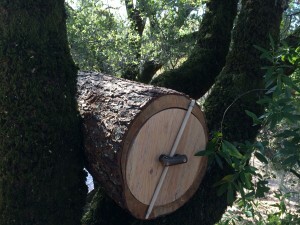 A natural tree cavity is the “original” and most natural nest site of Honeybees. 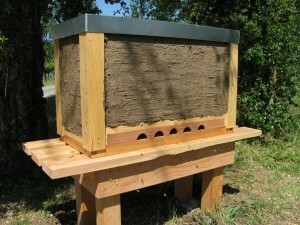 Log hives mimic this ur-environment and enable bees to unfold their life according to their birthright and instincts. 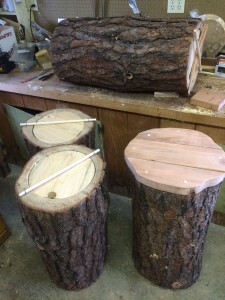 Logs are bee-centered and reshape fundamentally the paradigm of apiculture. 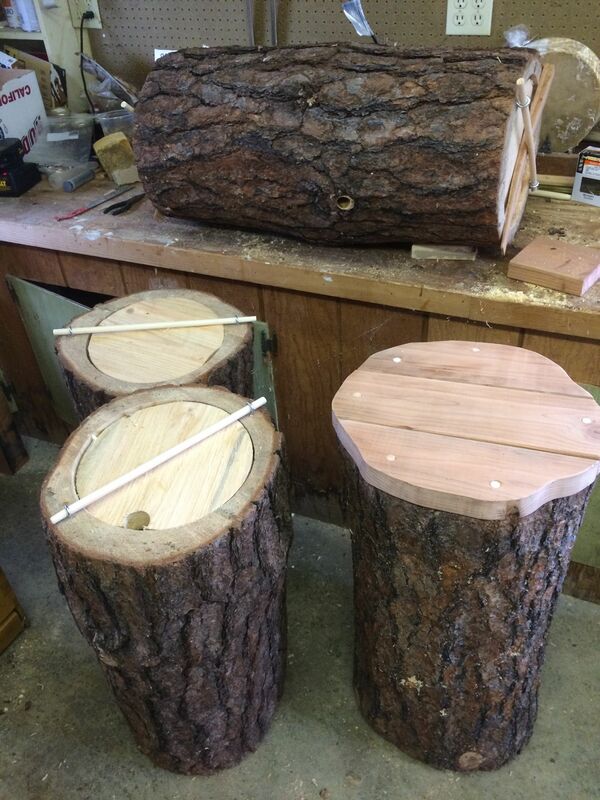 Each log hive is customized according to its orientation (vertical or horizontal) and individual environment. Cannot be shipped (pick up at shop only). For more information, please email gaiabees@gmail.com. Below we show in a video the art of making them. 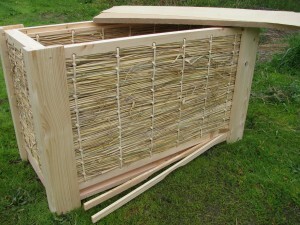 The Sun Hive (“Haengekorb”) is made out of rye straw and has nine, half moon shaped arched, movable frames. Comb is built naturally and can be almost 2 feet deep. The entrance is located at the bottom of the hive. The next Sun Hive making workshop in CA, USA will be in the spring of 2018. For info and registration please check the events page within the next few months. 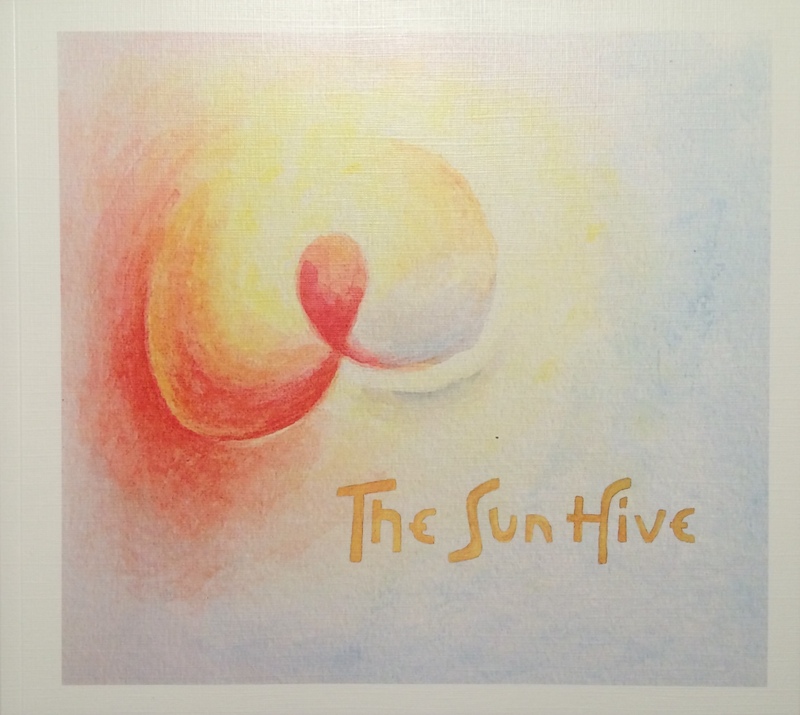 The Sun Hive book is available in the US here. The Golden Hive is designed to provide a natural apian environment, to support health and nest integrity, and to minimize the impact from interaction (more frequent opening of hives results in a weakening of their health). New: The Golden Hives (wooden version) are now manufactured by BeeProgressive in the US (they call it the “Progressive Hive”). More info at: beeprogressive. 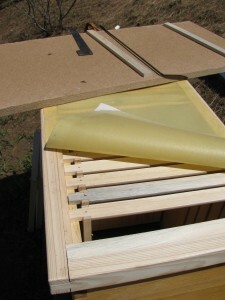 The straw version of the Golden Hive incorporates several additional bee-centered features. It helps to create an ideal inner climate and supports transpiration of the nest. Delivery time is currently around 12 months.